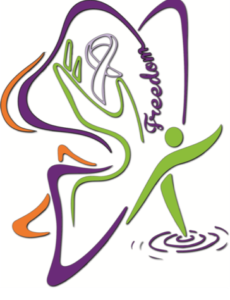 When developing the logo for Freedom Massage Clinic, we wanted to convey a message underlying the services provided and elements that inform and shape our approach. The Butterfly – is a symbol transformation and change. If diagnosed with a disease, looking at the long road of rehabilitation after surgery, recovering from a workplace injury or motor vehicle accident – we are faced with a new reality as we experience these events. The butterfly shows us that in light of this situation – beauty can be revealed and new life can rise up from the struggle. The Power Pose is about a new reality and season of self-transformation and trusting decisions to step forward in this phase with power, confidence and determination. The Ripple Effect is about the impact your choices will have on you, your loved ones and your sphere of influence; it also reflects the energy that goes out from you – like a ripple effect in water. There is another message specific to oncology massage as it relates to the level of pressure used on specific areas and in various stages of cancer – that pressure may be understood as being as light as water running over rocks. The Hand represents the role of trained registered massage therapists using safe, effective, evidence-based treatment through therapeutic, oncology and orthopedic massage, lymphedema treatment and bodywork to improve quality of life and live well throughout your experience.